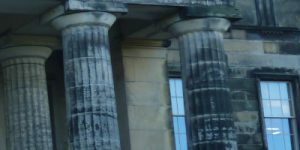 The Scottish Aesthetics Forum (SAF)––made possible through the generous support of the British Society of Aesthetics and the Scots Philosophical Association––aims to promote the study of aesthetics in Scotland and the North. SAF is currently run in the form of a lecture series at the University of Edinburgh, designed to showcase cutting edge work in aesthetics, thereby serving both as a platform for those already involved in research related to aesthetics, but also as an entry point into aesthetics for those new to the field. SAF lectures are free and open to the public, and are followed by a dinner which offers the opportunity to students, as well as others with research interests in aesthetics, who wish to do so, to meet the speaker and engage in discussion in a more informal setting. SAF has now been active over the course of two academic years between 2014/15-2015/16, and it is now time to take stock. Since its inception at the end of 2014, SAF has gathered 213 members on its Facebook page (https://www.facebook.com/scottishaestheticsforum/), and has launched a website (http://www.saf.ppls.ed.ac.uk) designed by Simon Fokt and hosted by the University of Edinburgh. Additionally, some of the 2015-16 talks have been recorded and made available on the SAF website, which is likely to become a standard feature of SAF’s online presence. This is fully in line with SAF’s commitment to outreach, since it enables audiences who have not had the opportunity to attend SAF lectures, including those who are based outwith commutable distance, or indeed abroad, to engage with the material showcased at the Forum. It is in the imminent plans of SAF to further improve its outreach, by exploring more ways of making its online presence felt and its content widely available. SAF has hosted seven lectures to date. In the 2014/15 academic year, the lectures were as follows: Professor Dominic McIver Lopes (British Columbia), “Aesthetic Agency and Value” (February 2015); Professor Elisabeth Schellekens (Uppsala), “On Sensible and Intelligible Beauty” (March 2015); Professor Berys Gaut (St Andrews), “Cinematic Art and Technology” (April 2015); Professor Emily Brady (Edinburgh), “Sublimity and Art” (June 2015). During the 2015/16 academic year, SAF hosted three further lectures: Professor Gregory Currie (York), “The Visible Surface: Painting, Photography, Cinema” (December 2015); Dr Catharine Abell (Manchester), “The Interpretation of Fiction” (March 2016); Professor David Davies (McGill), “Descriptivism and Its Discontents” (April 2016). Attendance at SAF talks has varied in terms of numbers, but discussions following talks have always been lively and informative. This is partly due to the fact that SAF has thus far succeeded in drawing audiences comprising both undergraduate and postgraduate students and faculty from a diverse range of departments, including philosophy, film, literature, architecture, but also non-academic audiences with an interest in aesthetics, including, for instance, practicing artists. Given that the audience often comprises regular attendees, moreover, SAF appears to have been successful in fostering a sense of community among people with an interest in aesthetics in Scotland, which is an integral part of a framework for research excellence. SAF is committed to gender equality in its talks and, where possible, seeks to maintain balance between female and male speakers. The organisers would like to thank the BSA and the SPA for their support and Professor Emily Brady for her help in setting up and running SAF at Edinburgh. They would also like to thank audiences who have attended the lectures and participated in discussion, and to express their hope that SAF will expand and establish itself as an ongoing forum which will realise its aim of supporting and strengthening the aesthetics community in Scotland and the North, offering more talks, by a more diverse range of speakers from different departments, and hosting various events, including work-in-progress seminars and small conferences. SAF was founded by Nicole Hall (Edinburgh) and Panos Paris (St Andrews), who were the organisers in 2014-2015. In 2015-2016, SAF has been organised by Simon Fokt (Edinburgh), Panos Paris, and Carlos Portales (Edinburgh). Professor Emily Brady (Edinburgh) has been acting as SAF’s faculty advisor.